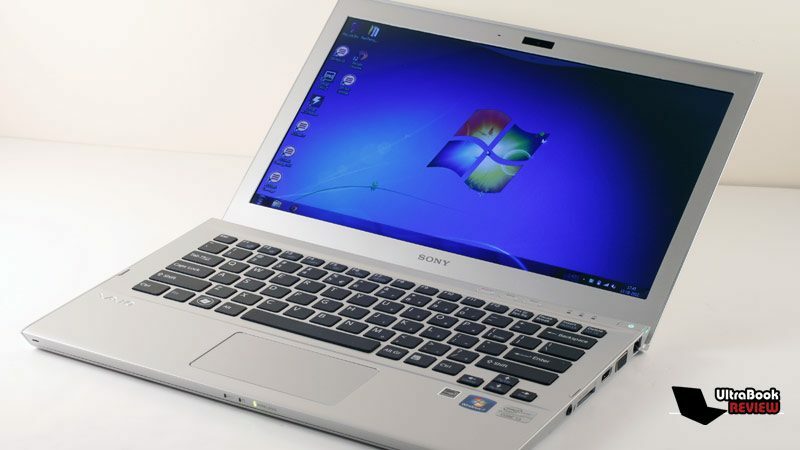 Summary: The Sony Vaio T13 is a budget ultrabook, but an overall nice, solid and fast machine. It does have its downsides of course, as corners are cut in order to meet the low price, although I don't find any of them true deal-breakers. I’m pretty sure you’ve all heard about Sony’s VAIO. Back in the days, VAIOs were some of my favorite laptops, but they were quite expensive. 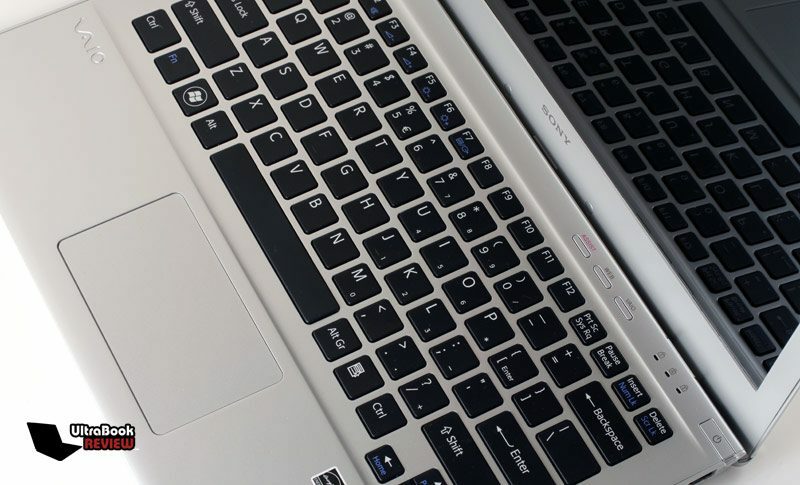 With that in mind, you’d expect Sony’s first ultrabook, the Vaio T13, to be pricey as well. But that’s not really the case, as Sony targets their T Series towards casual users, keeping the S and Z series focused on business customers. 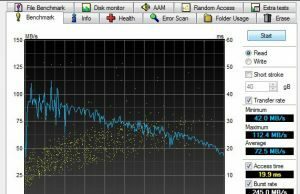 Update: Looking to save some money on the Vaio T13? 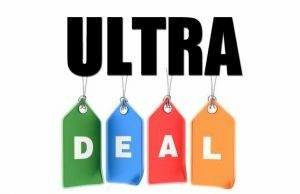 This article is going to tell you where you can find it discounted, so it’s definitely worth a look. That’s why the Sony Vaio T13 starts at about $700, which makes it one of the cheapest ultrabooks you could buy right now. 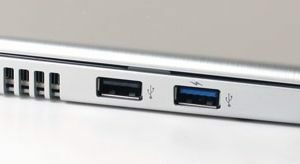 The T13 keeps the style and to some extent the build quality of the premium Vaio Series, packs plenty of ports, good performances and a decent keyboard and battery. But are these enough to make the T13 a proper pick? You’ll find out after reading the review below. I remember speaking to a Sony official a while ago and he was telling me how they put a lot of effort into making their ultrabooks astonishing looking. And that is actually true with the Vaio T13, one of the simplest, but also the most beautiful machines in its class. The entire case is made from brushed aluminum and the straight edges give it a rather business-oriented air. However, the lid cover doesn’t feel that sturdy, as it will easily bend even when lightly pressed, which could, in time, have an unwanted effect on the screen. Weighing about 3.5 pounds and measuring .7 inches in thickness, the Sony Vaio T13 is not the lightest or the slimmest 13.3 inch ultrabook. But it’s still fairly portable. 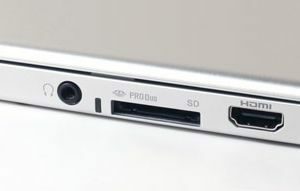 The ports are all lined on the sides and Sony didn’t cut any corners with those. On the left you’ll find the PSU, a larger cooling grill and two USB ports. On the right there are the headphone/microphone jack, a card reader, the HDMI and VGA video output and a Lan adapter. The Status LEDs are placed on the front edge, just beneath the trackpad, and they are fairly discrete. 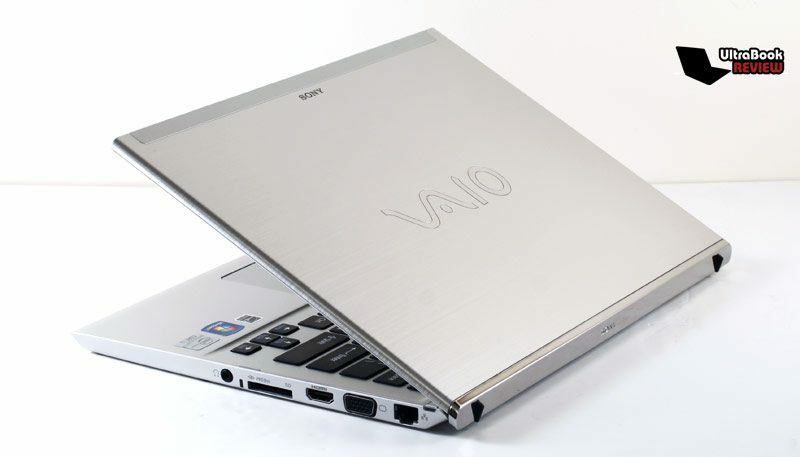 Turning the laptop upside down you’ll notice that the Vaio T13 is one of the very few ultrabooks to feature a removable battery and to offer easy access to the internals, allowing you to easily upgrade memory or swap the hard-drive. And that’s something many of you will probably appreciate. 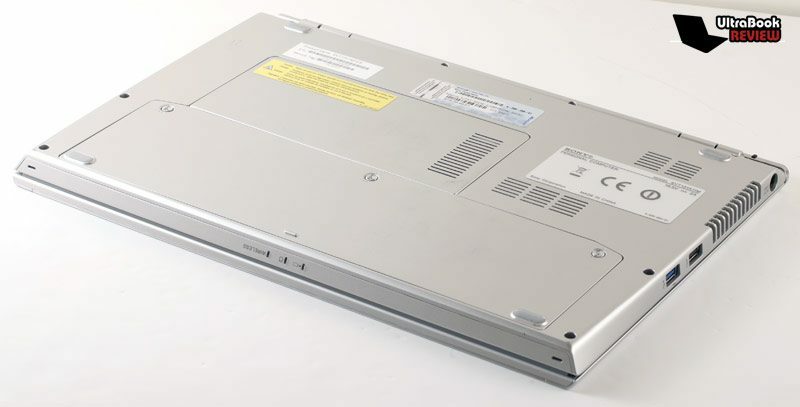 You’ll also notice one more thing on this test unit: the fact that the bottom can get scratched easily, which doesn’t speak highly of this laptop’s reliability. Lifting the lid cover, you’ll find some more aluminum, covering the palm rest and the area around the keyboard. It looks good, seems durable and it’s certainly a lot sturdier than that sheet of metal on the hood, as it hardly bends in daily use. The Power switch and a couple of extra buttons and LEDs are placed on top of the keyboard, while other laptops keep the interior a bit simpler, but those are actually quite handy and you’ll get used to them. 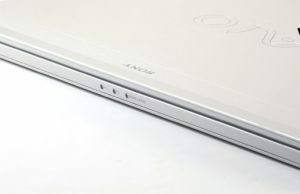 There’s a glossy 13.3 inch screen on the Vaio T13, although that thick silver bezel around makes it seem a bit smaller. Now, the display itself isn’t very good, but let’s not forget this Sony is a budget ultrabook. You get an average TN panel and 1366 by 768 px resolution, sub-par brightness and contrast and rather washed out colors. Still, the screen is alright if you’re watching it straight on and using it indoors, otherwise you’re probably not going to be very fond of it. Vaios used to be a standard in the industry when speaking about keyboards, but that’s not really the case with the T13. The keys are decently sized and properly spaced, although the gap between them is a bit too wide. However, the poor overall feedback and the shallow drop will make you miss a lot of strokes, at least until you’ll get used to it. 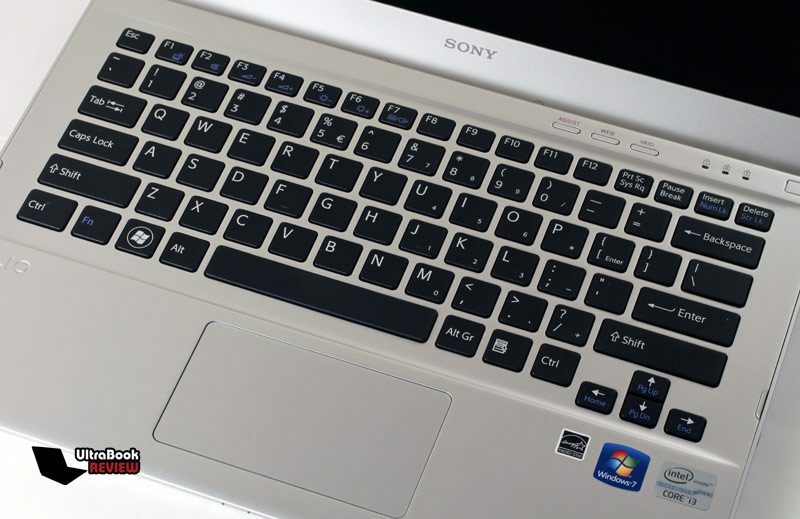 Also, Sony decided to pack a standard non-backlit keyboard on their ultrabook, in order to improve the typing experience, but the end result is definitely not that good. As for the trackpad, this one is much better. It feels good and is fairly accurate, although it has its share of jerkiness from time to time. The clickpad isn’t very stiff, so registering clicks is smooth and it also deals alright with gestures and palm-rejection. As a small downside though, I would have appreciated a larger trackpad, this one does feel a bit cramped. 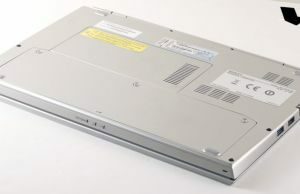 In terms of hardware, the Vaio T13 is built on either the older Intel Sandy Bridge or the newer Intel Ivy Bridge ULV platforms. 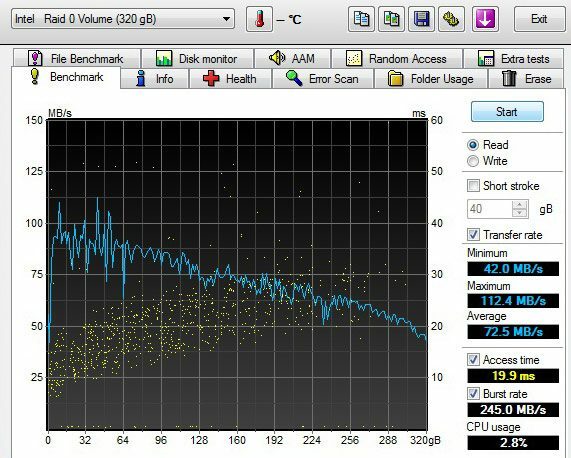 My test unit is perhaps the cheapest configuration, with a Core i3-2367M CPU, 4 GB of RAM and a 320 GB regular hard-drive plus a 32 GB mSATA SSD for caching. 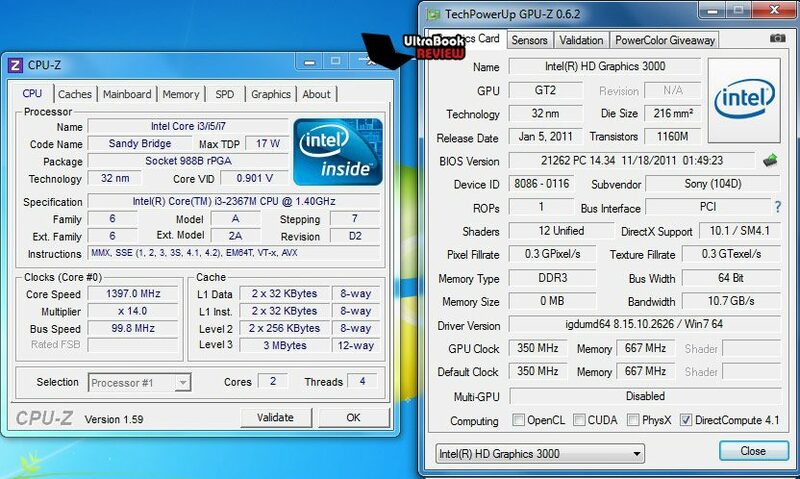 However, better equipped versions will offer Core i5 and i7 Ivy Bridge processors. My test unit performed fairly alright when dealing with daily tasks, although heavy multitasking can make it rather sluggish. However, for browsing, editing videos, playing very light games and watching clips, it will do just fine. If you need a bit more from your computer though or just expect it to be snappy all the time, you should get a better configuration. Besides that, the laptop does boot up quite quickly, in under 30 seconds, but it does take longer than I expected to resume from sleep, north of 5 seconds, while the average ultrabook only needs about 3 for that. 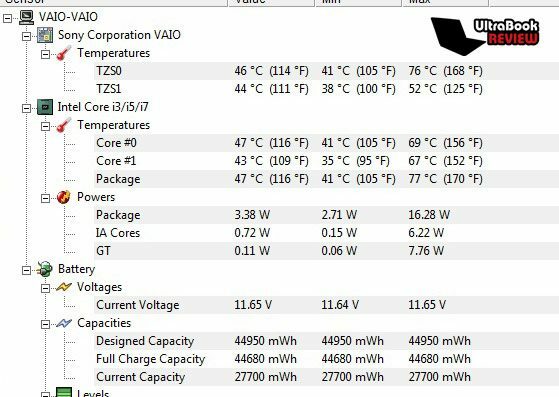 The Vaio T13 runs fairly cool and even when pushed it’s not going to get as hot as other machines do. But this is a lower-powered Core i3 config, so I’m pretty sure the more powerful options will get slightly hotter. 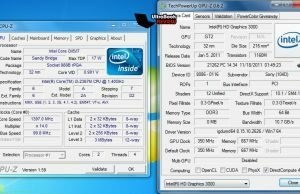 It’s also not very noisy, although the fan does kick on even when performing very light tasks on this laptop, so it’s almost never going to be completely noise-free. The speakers are alright, for ultrabook speakers, although unable to impress with either the sound quality or their volume. The webcam on top of the screen does a good job in Skype or Google Talk, but only if there’s enough light around. As for the wireless solution, Sony packs an Atheros module which does perform OK, but lacks Intel’s WiDi technology. 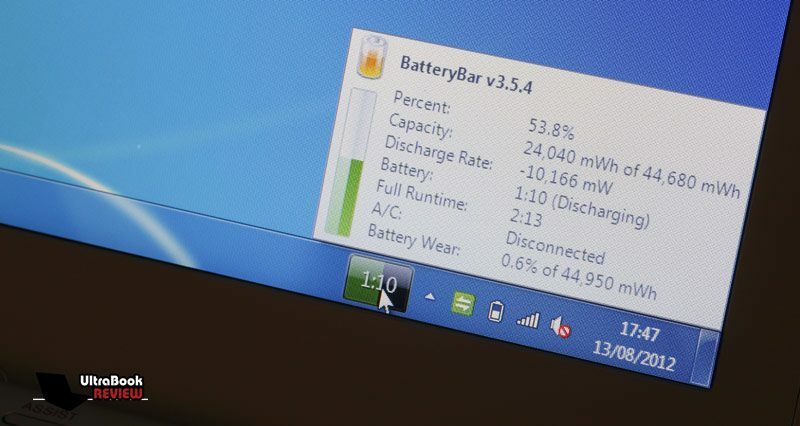 The 3 Cell 45 Wh battery inside this unit is rated at 7+ hours, but in real life, this laptop will only last for up to four and half hours of average use, on Balanced Mode, with the screen set at 70%. 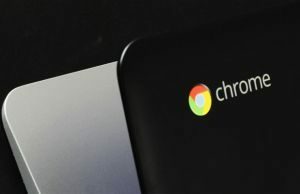 That can be pushed past the five hours mark when using the computer lightly and completely dimming the screen. On the other hand, I do expect the more powerful configs to average only around 4 hours of use on a charge. As for the prices, here’s where this VAIO might make you forget about all of its issues, cause unlike other Sony laptops, this is actually affordable. For an ultrabook of course. 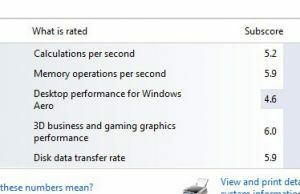 The base Vaio config, the one we tested here, goes for less than $700, while the Core i5 Ivy bridge configuration starts at $800. Some online stores do offer both options discounted though, as you’ll find from this article. This way, the Vaio T13 is truly a budget ultrabook, competing with the likes of Lenovo U310 or the older Acer Aspire S3 and Toshiba Z835. It has its pros and cons when compared to the Lenovo and we’re going to talk more about the two in another clip. All in all, the Sony Vaio T13 is a rather good laptop, for its price. 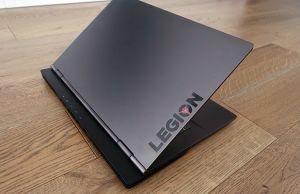 As a budget machine, you can’t expect it to be as good as the premium 13.3 inch ultrabook, so it’s obvious Sony had to cut some corners in order to get this one in stores as cheap as it is. And those corners are the screen, the heavy body and to some extent, the keyboard and battery life. Overall though, if you’re after a thin and light everyday laptop and don’t want an excellent display or don’t plan to use the keyboard for writing thousands of words a day, like I do, the Vaio T13 will do. 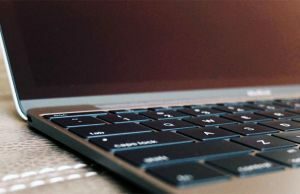 Oh, and if you’re interested in other good budget ultrabooks, this list of best ultrabook under $800 should come in handy.